Sarasota Homes for Sale is all about Sarasota's neighborhoods, lifestyle and how to spot a good buy. Sarasota offers an interesting diversity of neighborhoods for every lifestyle and price range, from downtown high-rise condominiums overlooking the Bay, to historic neighborhoods to golf course communities to beachfront and boating communities. Each of our barrier islands has its own unique character - from opulent Longboat Key with its manicured lawns, to the bohemian laid-back style of Siesta Key. Explore the topics below to get an understanding of the Sarasota Real Estate Market. If you have questions or need information please give us a call - 941- 451-6955. 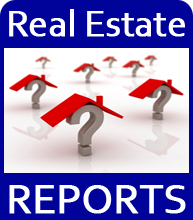 Learn about Sarasota Real Estate by reviewing the TOPICS on this site. Thank you for visiting Sarasota-Homes-For-Sale-101.com. Sarasota County Fl - Why People Love Living Here! Use this real estate term glossary to find the answers you need. Looking for real estate in sarasota fl - What are the good deals? Realtors In Sarasota Florida - What you should know. Realtors In Sarasota Florida - Get Educated! Would you like to share your knowledge about sarasota homes for sale? Great, find out how you can submit your story or tip here.